I am a huge fan of Aby’s blog You Baby Me Mummy (why do I even feel the need to tell you her blog’s name?! You must know it for sure, except if you live on another planet!). So when she asked on her Facebook group #MomBossSquad what were bloggers’ goals 2017, I was very nosy and obviously decided to read other’s posts. It was so interesting that I came to the decision to write a similar post. So here we are. 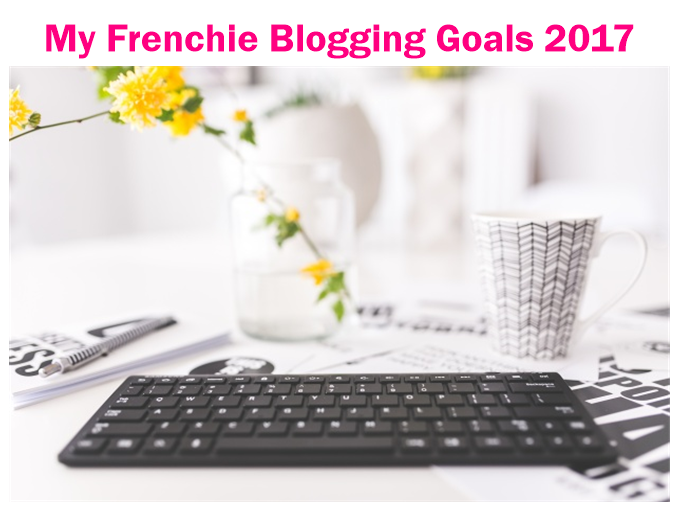 Our last 2016 piece will be about my Frenchie Blogging Goals 2017. I reckon setting specific goals for 2017 will help me achieving them. I will also save this list so that I can come back to it anytime throughout the year. The Frenchie Mummy Blog was a bit of a crazy project at first. Before doing it, I had been thinking about it for a while as I was pregnant with my first baby. For a long time, I didn’t dare to start it and it’s only at the end of May that I went for it. To say how scared I was, I set up the blog the 4th May and didn’t write my ‘about page’ before the 12th! Yeah, more than a week hiding, full of doubts! ? I did very little research into it. As usual, I was very spontaneous and just took the plunge one day, out of the blue. 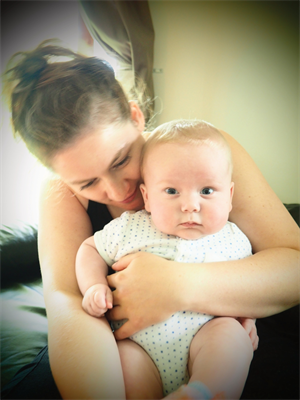 I think at the time, I was getting more confident about my SAHM status and I was feeling like I needed another project, not that being a mummy was not enough work! To cut a long story short, I bought a domain name with WordPress and started writing. How naïve I was in the first place! I imagined that I would click ‘publish’ and would have hundreds of people reading mes histoires with Baba and Grumpy Boyfriend. My first posts were not a hit straight away. Only some of my friends were reading my blog! I opened a Twitter account as I saw that you needed one with a blog, but I was using very little of it. It’s only in June that I understood la blogosphère and its mechanisms. I discovered linkies, some great blogs like Aby’s. That was only back then that I properly started blogging. I read a lot about all the aspects of it and off we went! Nothing was there to stop me. I was obsessed. I would take part in 30 linkies a week, schedule tweets every hour or so… I also started interacting with other bloggers and slowly but surely, I got noticed. Now, I can say that I am properly addicted to it! It’s not only a hobby, it’s a mission I decided to conquer! When I start something, I always put 200% into it until I get bored and start un nouveau projet! We had some obstacles throughout the journey: Baba’s heart condition was the big one. I was worried that not being on the blogging scene for a week would see a drastic drop in my page views. To my surprise, it didn’t happen and a lot of bloggers were very supportive, asking about Baba’s recovery. It was a shock to me. People I didn’t really know were there for me! Overall, the blog brought me way more than I was expecting when I started it all! Remember, I was just a silly Frenchie first-time mummy bored in her big flat in the South-East of London! Here are a few things that I am proud to have achieved! Gaining nearly 1.5K likes on my Facebook page and growing my Instagram too. Who would have thought that people wanted to see cute pics of a Frenchie baby?! Winning some fabulous badges when I took part in linkies. It makes me very proud to think that I moved people and they actually liked what I wrote! Getting self-hosted. It was a massive thing to me. I wish I did it as soon as I started my blog! 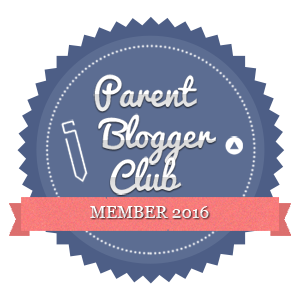 Being in the top 250 UK Parent Bloggers according to TOTS. I am back to work in January, so I reckon it won’t last. I might as well put it here so that I remember! I am running a blog, on my own! You know? Like a big girl! 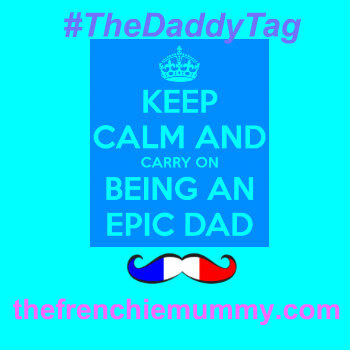 Ok, Grumpy Boyfriend occasionally helps me out with very technical stuff, but overall, the Frenchie Mummy Blog is MY BABY! And I am far from being a geek! If anything, I am the proof that if you give it 200%, you can achieve anything! I was so motivated to do well with my blog, even if I didn’t have very clear goals. Starting 2017 with clear targets to reach by the end of next year will surely make it even better! I will have 12, as in the number of months. It will be an easy way for me to tick them off. At the same time, I don’t want to set myself too many goals as I will be back to work in a week and I don’t know yet how I will manage it all. But I will, I am sure! Even if it means I need to get up at 5 am every morning! To keep steadily growing my social platforms. Ideally, I would like 10K followers on Twitters, 5K fans on Instagram and about 2K people on Facebook. To keep writing 3 posts a week, but not put too much pressure on myself if I am not able to. I have a job and a baby to look after. Oh and Grumpy Boyfriend to spend time with! To grow my new series Baba Fashionista. I just launched it last week and I am so excited about the whole project. I really want people to discover fabulous children brands other than the ones you always see on the high street! If you own a boutique yourself or know someone who might be interested, please keep in touch! To set up an email list. I put this one off so far but it’s time to do it! To enjoy myself with it all and not feel like it is a burden! It’s definitely the most important goal on this list! Here we go, my Blogging Goals 2017 are set in stone! If anything so far, my blog showed me that I could do whatever I put my mind to. I am very excited about the targets I set myself! Who knows what will happen! I hope you will keep enjoying my posts and entering the giveaways (there are more to come so make sure you are there for them!) in 2017! A big MERCI for all your support so far lecteurs! Did you enjoy this very personal post? J’espère! Let me know what your goals are for 2017. Do you have similar ones to me? And if you are not a blogger, what are your good resolutions for this New Year? I intend to be fitter (awfully boring I know…) and have a good life-work balance. Wish us luck! Amazing achievements so far! That is incredible for the time you’ve spent blogging. Just goes to show what you can do through sheer determination and hard work. Well done lovely. Well done with all your success this year. I think all your goals are definitely achievable if you set your mind to it. Good luck for 2017! I am obsessed with it, so no need to compare yourself. It will be very different when I am back to work and have less time … ? Wow well done! My blog is just 5days older than yours! Haha. What a wonderful 2016 you had – it’s hard to believe you’ve not been blogging for that long your achievements are amazing! I like the 12 goals for 12 months idea, and when you have tips on how to do an email list I am all ears! Previous Previous post: Baba Fashionista with Little Chickie & GIVEAWAY!